Or we introduce some our local shipment companies to you. It's better that a logistics company could become your agency here. Furthermore, the logistics company can do customs clearance for you. 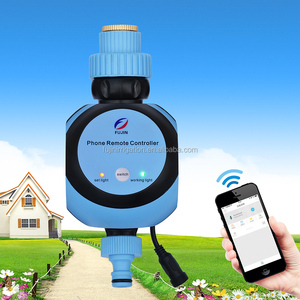 7 YRS Ningbo Haoqi Metal Products Co., Ltd.
5 YRS Yuyao Yimei Garden Equipment Co., Ltd.
Each watering session can be set for 1 up to 240 minutes, and can be programmed to water as many times needed per day. 3. Features a swivel coupling for easy and quick connection without any need for tools. 4. It is easy skip watering sessions during and after rainy days, without interrupting the programmed watering cycles. Don't forget you're saving water and saving money on your watering bill. 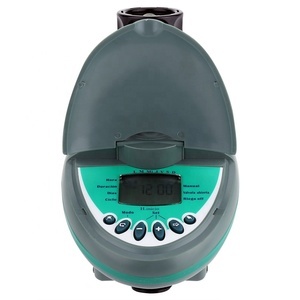 Easy-to-Use This timer features simple, easy installation and programming. Just set the start time, watering duration and frequency. 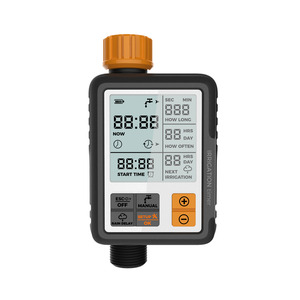 Products Name: ESP5M Automatic Irrigation Water Timer (5 stations ,8 stations,11stations ,14 stations) Products Show: Features: ESP-SM5 There are 3 station module, controller can be extended to 8, 11 or 14 station. 4. Strong overseas sales team to assist customers to develop sales strategy 5. Fast, efficient and professional online service,like email, skype, whatsapp tools. 6. Complaint to our general manager ( if not satisfied with anything, ensure timely reply within 24 hours 7. Multilingual communication services (English, Spanish, Japanese etc. For example: Program 1: Every Sunday, Monday, Tuesday, Wednesday, Thursday, Friday, Saturday, 9:00 start water , water time 30 minutes. Program 2: Every Sunday, Monday, Tuesday, , 10:00 start water , water time 20 minutes. Program 3: Every Sunday, Tuesday, Thursday, Saturday, 14:00 start water, water time 1 hour 5 minutes 4. 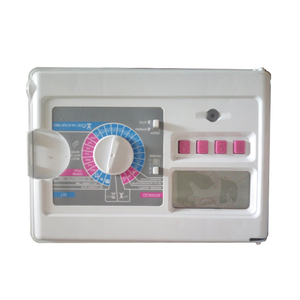 This Irrigation Timer must be used only for the control of irrigation systems in the domestic sector, e.g. 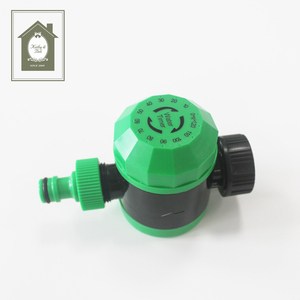 12 YRS Yuyao Wish Import And Export Co., Ltd.
* Watering timer can be set between 0-120 minutes. * Dual outlet * Shut water off automatically. * Spring drive mechanical mechanism, no wiring, no batteries needed. 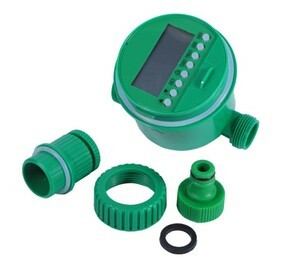 Alibaba.com offers 2,215 irrigation water timer products. About 56% of these are garden water timers, 1% are timers, and 1% are time switches. 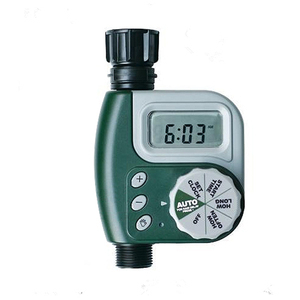 A wide variety of irrigation water timer options are available to you, such as plastic, metal. You can also choose from ac pro, analogue. As well as from free samples, paid samples. 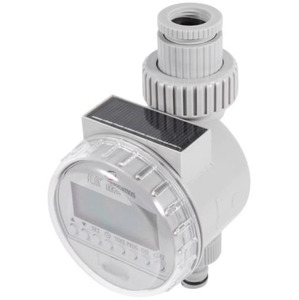 There are 2,215 irrigation water timer suppliers, mainly located in Asia. 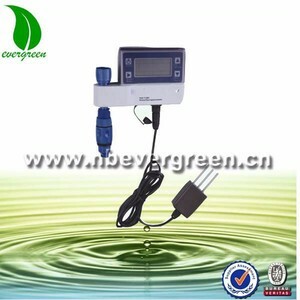 The top supplying country is China (Mainland), which supply 100% of irrigation water timer respectively. 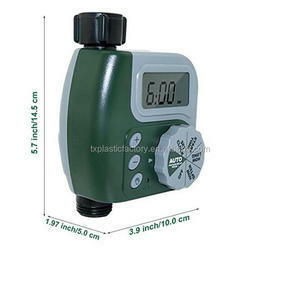 Irrigation water timer products are most popular in North America, Domestic Market, and Western Europe. You can ensure product safety by selecting from certified suppliers, including 1,033 with ISO9001, 250 with ISO14001, and 242 with OHSAS18001 certification.